If you enjoyed the spectacular colour display of the Life of the Party™ Shrub Rose, we have big news for you—it's now available as a tree rose variety! 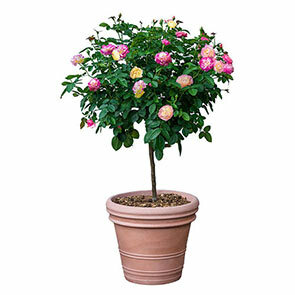 The same clusters of soft yellow, double blooms boasting 55–65 petals that turn pink two or three days after being kissed by the sun are budded atop a sturdy, 24" trunk. The nearly endless supply of 3–3½" blooms exudes a crazy, fruity fragrance to enjoy. 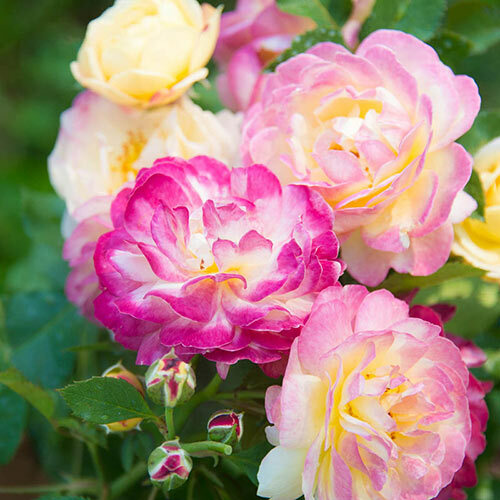 The full, dense foliage of this vigorous rose features glossy, dark green leaves. 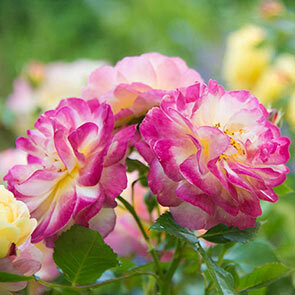 Equally at home in a garden, a container or anywhere in the landscape where you want to create tall, floral interest. 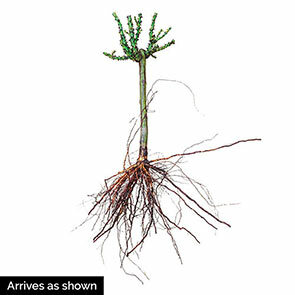 Thrives in hot, dry climates and offers good disease resistance.